The foyer is the invitation to your home. Don't let everyday drudgery detract from its beauty. With these simple DIY tips you can make sure it looks its best at all times. 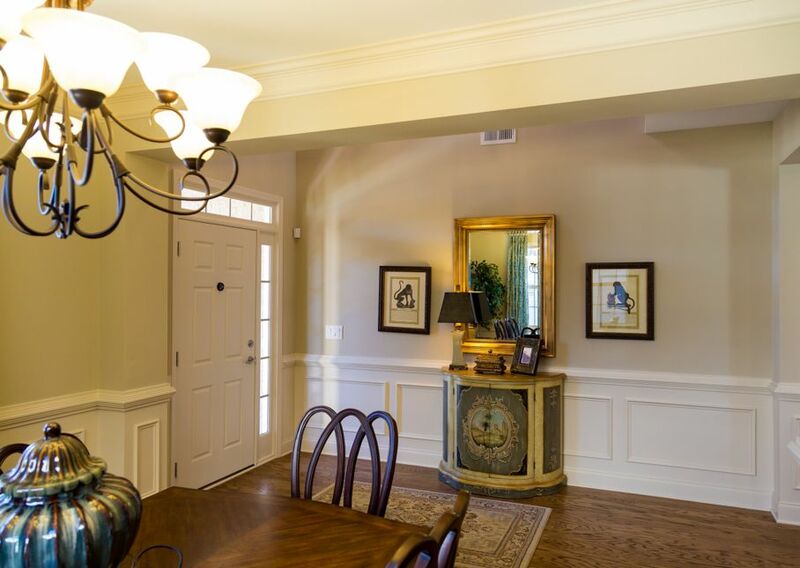 The foyer design of your home sets the tone for the rest of your house. You want to be sure it gives a welcoming message to your guests and presents a little bit of your own personality as well. Do you find shoes, backpacks, mail, and other clutter building up in your foyer? Do you feel like your entryway is missing something, but not sure quite what? Don't let your everyday drudgery distract from the beauty of your home! With some simple DIY tips, you can make sure your home looks its best when introducing itself to guests. 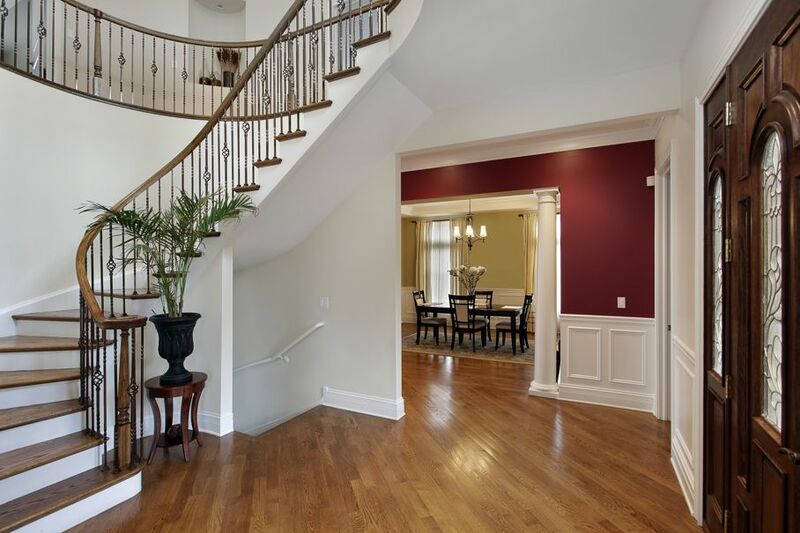 The choice of color for your foyer design is what determines the initial vibe of your home for guests. You’ll want to choose a color scheme that will make you feel at home and add a splash of personality to your entryway. Try a warm color like red, which will be a comfortable and inviting shade. For a smaller entryway, a helpful interior design trick is to use cool colors. They will help the walls recede and open up, giving a smaller house a grand, spacious feeling. If your entryway opens onto a stairway, consider painting the wall under the stairs a complimentary color to tie the room together. Varying color and shade gives the space a consistent flow while adding fresh variety. Remember to play with different color swatches and see how they work with the light and space of the room before making a final decision. A table or trunk for your foyer can be an economic way to fill the space and provide storage for everyday items such as mail and keys. A grandfather clock or sleek, tall bookcase fills up a high, imposing entryway. You can even add a chair for a hospitable feel. However, there are some things to avoid when furnishing the foyer. Be careful with adding tables and chairs. They can easily create unwanted clutter. Furnishings in an entryway should be minimal and clear in their function. Having a table with some hidden storage is a nice alternative, providing you space for your items without putting them on display. A foyer will benefit from something unique. Add personality to your overall décor with a playful picture or favorite painting. One or two pieces that speak to your individuality will let guests learn a little about you. Don't pick an embarrassing photo or something edgy and provocative. 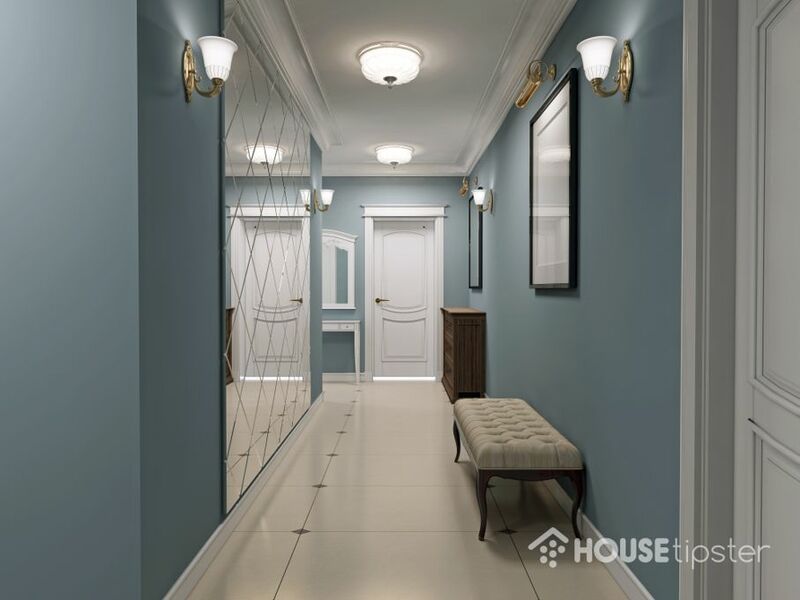 Rather, take the colors and layout of the foyer’s design into consideration and choose something that represents you well, while also complimenting the work you've done on the area. Want something more than photos or paintings? Plants add beauty and style to a home without huge expenses. A leafy potted plant or fresh flowers in a vase will add fragrance and freshness to an entryway, contributing to the taste and smell of an atmosphere as well as the look. Plants also cushion the transition from outdoors to indoors, connecting your interior to the exterior. Tailor your decor to make your house feel like a home. Wicker baskets and repurposed buckets are tasteful ways to store umbrellas or extra shoes, and their rustic, natural look adds character to your storage area. Also consider adding a little bench for guests to sit at and as they prepare to go outdoors. Designs that make guests feel relaxed can make the difference between a house and a home. 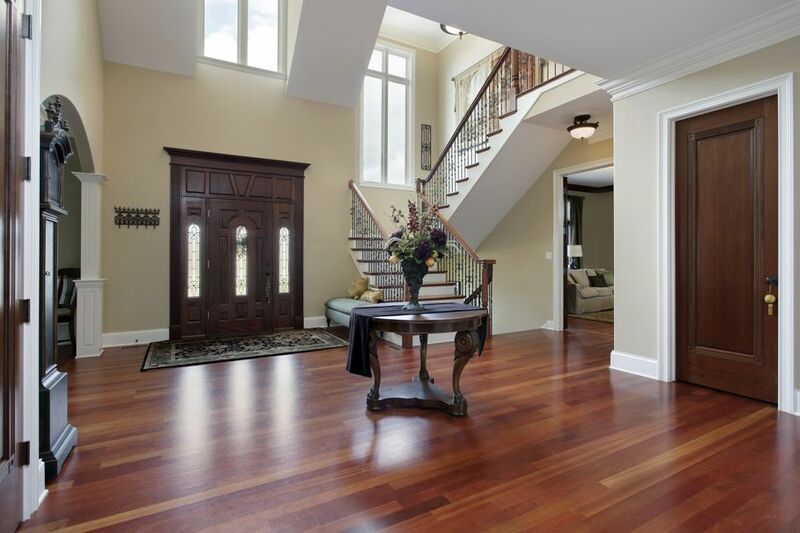 Your foyer is face of your home’s interior design. You want to create a welcoming room that introduces your residence to anyone who enters. With these simple tips, your guests will feel welcome, comfortable, and at ease. For more tips to help you design the rest of your home, click here!